The YLM Bathroom Door Kit includes 6 mm tempered glass, glossy aluminum profiles, towel rails, hardware and screws, heavy-duty carton packaging, with included installation instructions. 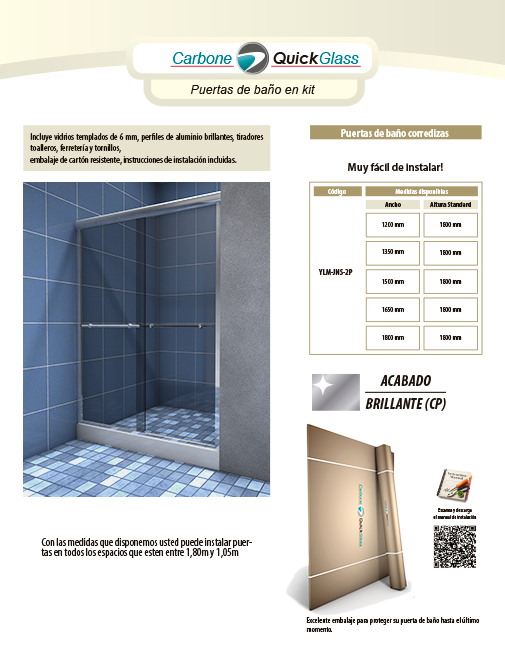 It presents excellent packaging to protect your bathroom door until the last moment. With the measures available you can install doors in all spaces between 1,80m and 1,05m.